I traveled 7-1/2 hours today and I am staying in a hotel in eastern Ohio for the night. On to Dayton and Hamvention in the morning. Not much to say about the day femulation-wise. I did not travel en femme because I left home as early as possible to beat the bad weather that was in the forecast and that I did. I will dress en femme in the morning, have breakfast and then check out of the hotel as a woman, which is always interesting after having checked into the hotel as a guy! Love the girl's outfit in the photo. Look forward to reading about your exploits. 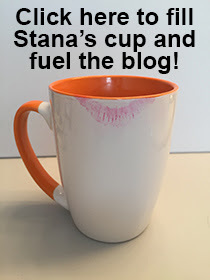 Don't spare the details, Stana! I'm looking for a jumpsuit like that for myself! Thanks Stana for not lumping we "Buckeye's" in with Palin!!! !